A powerful combination of Nylar insect growth regulator, Pyrethrin, Permethrin and MGK 264 provides up to 7 months of insect control. Use in homes, apartments, dorms, condos, attics, basements, kitchens, kennels. 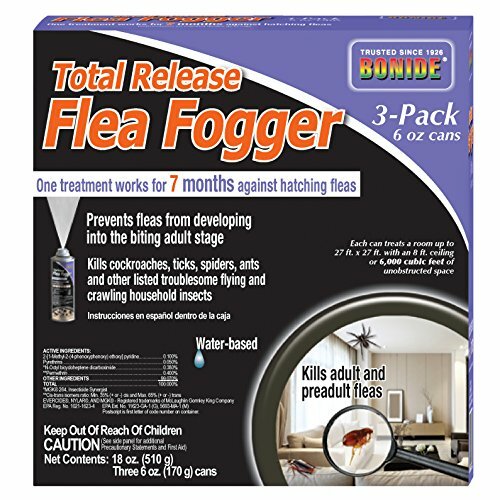 Controls fleas, ticks, roaches, ants, lice, beetles, grain and pantry insects, bed bugs, bees. Simply shake and lock valve for automatic discharge. Water based. If you have any questions about this product by Flagline, contact us by completing and submitting the form below. If you are looking for a specif part number, please include it with your message.